Industrial Product Catalog offered by TechBase Ltd. Technical information and professional support, online product ordering. Catalog includes RS-232/RS-485/Ethernet/CAN/USB/Bluetooth, converters, radio modems, GPRS, modbus TCP RTU, Industrial PC and Ethernet products, SCADA Software and many more. 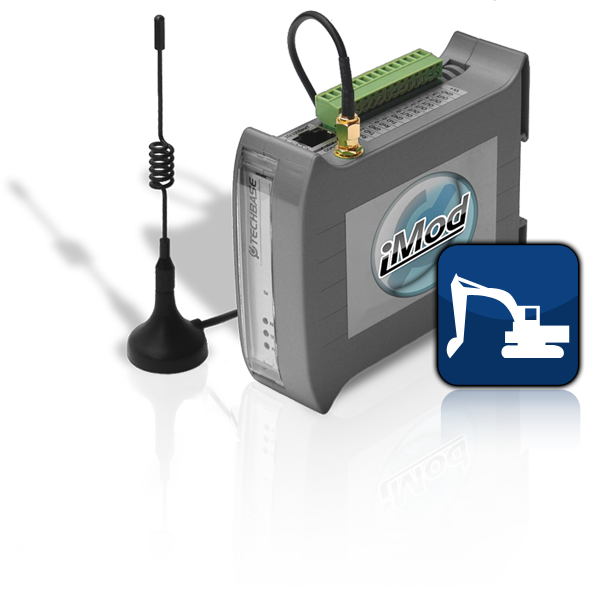 A nationwide construction company ordered a modern remote control system for construction machinery. Aim - to implement an effective hardware resource management system. We used the iMod 3G/GPS platform for this project. The device was connected to on-board computers of construction machines with a Modbus -> CAN converter. vehicle movement monitoring (helps to measure operating hours and to increase efficiency). 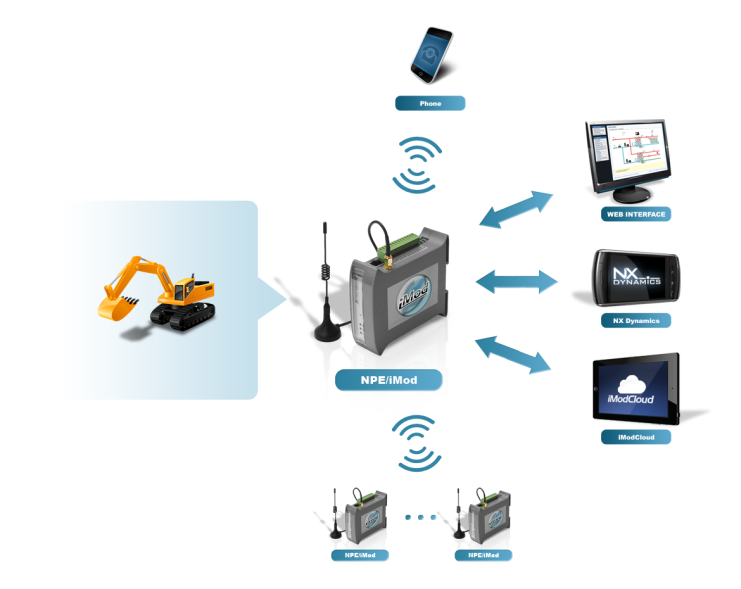 monitoring and control of all the machines with a web browser of any mobile device. It is possible to extend the system with new functionalities at any time. We equipped NPE/iMod with a 3G/GPS module. The platform has gained new functionalities. 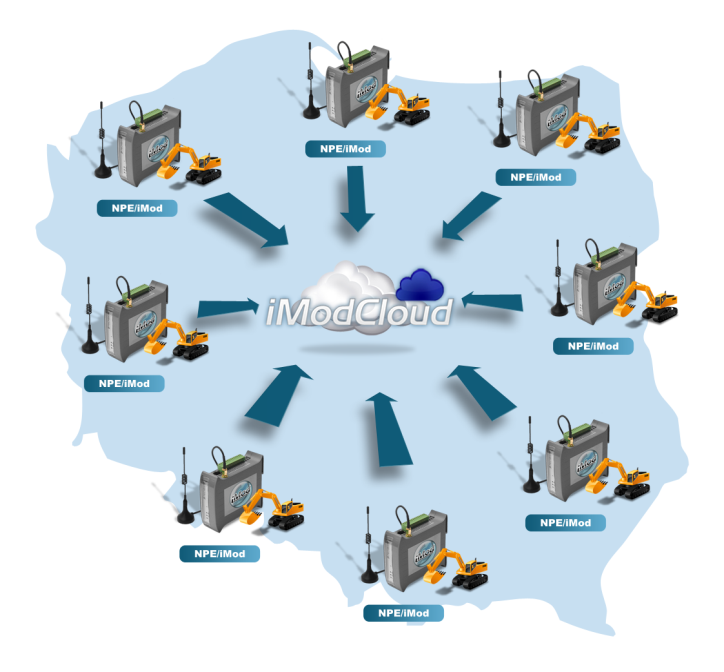 We have started preparing a mobile iModCloud set. The set is designed to present key functions of the product. An outdoor advertising company using digital billboards ordered an efficient video control system for LED screens located in remote places. 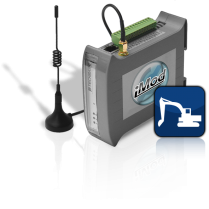 The iMod3G/GPS platform provides a comprehensive construction machine control system. We sell following products in very low prices - offer is limited to stock sell-of quantity. Please contact us to check the availability.